​All-Trades NP Seniority List List​ This is an all-trades list of Northern Pacific employees. It began with information from a collection of Order of Railroad Telegraphers, Northern Pacific System seniority books 1931through 1968. Jim Fredrickson contributed the earliest information—a 1916 Company-generated list from his collection. Employees may be entered multiple times, reflecting promotions and changing job descriptions or changing certificate numbers. In some cases, other contributors have added wives names or newspaper citations. These entries include job descriptions and seniority dates. Subsequent information comes from a variety of sources. All Source entries start with the date, followed by the title. Company-generated documents include NP after the date. Consult the Sources file included in this collection to find out more about the publishers or contributors of individual documents. Big 5 Railroad Rosters or Big 4 Railroad Records are examples of seniority lists supported by local advertising and are area specific. Employees kept these, often making notes regarding fellow employees. It was a means of tracking their own chances of moving up the seniority list to more desirable jobs. These entries include seniority dates and hand-written notations. Individuals kept their own lists. 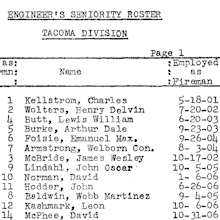 In 1980 P.B "Brick" Marvin compiled a list of all enginemen in the former Montana Division. It includes employees starting in 1898 and continuing through 1980 with seniority dates and dates they left. Former employees have shared company-generated rosters for engineers, Livingston machinists, and the Paradise Tie Plant, to name a few. These entries include job descriptions and seniority dates. Fellow researchers have shared company documents from archives they have visited. These entries include job descriptions and seniority dates. A block of entries comes from newspaper citations. Information is limited and job descriptions are those of the publisher. There are no seniority dates. A large block of information comes from City Directories. It was obtained by reading directories and by entering data manually. Only those listed as employed by the NP were transcribed. Information is limited and job descriptions are those of the publisher. There are no seniority dates. This is a work in progress. As of 2018, there are over 25,000 entries. Due to the large number of records in the database, you will need to use Column Filtering on the Last Name column to locate a specific name. 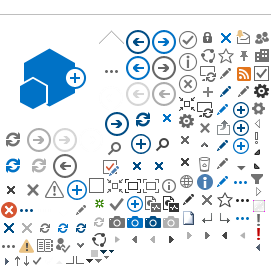 This is done by: 1) Moving your cursor over the word LAST at the top of that column until the down arrow appears; 2) Click the arrow and when SHOW FILTER CHOICES, click it; 3) A large alphabetical list of Last Names will appear and you may select the name that you seek; and 4) This will produce a list of all the individuals in the database with that name. ​Seniority Sources Used Above ​List ​A table of of the Sources used to make the All-Trades Seniority List. All-Time NP Division Boundaries ​Graphics ​A series of graphics showing how the division boundaries changed over the life of the NP. 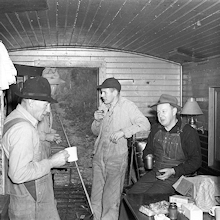 Genealogy & the Northern Pacific The NPRHA receives many requests from people researching family members who worked for the Northern Pacific for a period of time. This article is intended to help those people locate as many information sources as possible. Jim Fredrickson Employee Photos ​ ​Jim Fredrickson has authored three books of Northern Pacific images and is an active member of the NPRHA. Photos from Jim's collection of are available by sending an email to: CompanyStore@NPRHA.com. The link at left is a filtered view of his collection to show just the employee photos.